Welcome new parents! 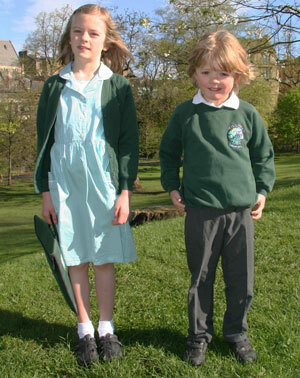 If your child is starting school this August, please read on for the essentials on school uniform. You and your child will be invited to two inductions sessions on Thursday 6th June and Thursday 13th June. During the first part on the 6th June you will receive a presentation about the uniform, which will answer many of your questions! We will have samples available for you to look at after the talk, and Parent Council volunteers present to answer any extra queries. How do I order Uniform Items? We encourage parents to use the Border Embroideries website to order their uniform. Orders can be placed anytime, but during May to July, you can select ‘Direct To School’ delivery at the checkout to avoid postage costs. This option is available until 26th July. Alternatively, paper order forms can be used. These will be handed out during 6th June session or downloaded beforehand. Return these with the exact money on the 13th June induction session. Please do not return these forms to the school office but to the Parent Council volunteers. What if I forget to bring my Paper Order Form on 13th June? LOCATION: Riverside Outdoor Classroom. Signs will direct you from the main entrance! If you are unable to attend the two induction sessions but have questions about ordering your uniform items, please speak to the school office or email the Parent Council. You can also download our full Uniform Handbook which gives comprehensive information on the uniform, how to order and key dates.